To understand the tightrope that is urban growth management, consider the case of Charlottesville, Virginia, seat of a metropolitan statistical area of under 200000 people at the beginning of the millennium. In 2004, Charlottesville found itself ranked on the top of a list of over 400 metropolitan areas in the United States of America and Canada. The result: housing prices boomed and the cost of living saw sharp escalations. The historic city, once home of two US Presidents, including Thomas Jefferson, and currently the address of the University of Virginia, witnessed an influx of newcomers it could barely keep up with. So much so, that when just a couple of years later, the city came under consideration for inclusion in a list of “best places to raise a family in the US”, local Chamber of Commerce members had to plead: “Don’t make us number one gain – we just don’t need the growth!” For Indian metropolises vying for honours in the national and international competitiveness stakes, Charlottesville’s response to its good fortune might seem quixotic. When it comes to cities such as Bangalore, which have risen from being sleepy retirement communities to Information Technology (IT), powerhouses, growth has always equated more of a good thing; soaring real estate prices being (a not unattractive) part of that deal. Nonetheless, just a decade later, the authors of the 2014 edition of Cities Ranked and Rated listed Charlottesville at a steeply lower rank 17. It was an outcome anyone who has been stuck in Bangalore, aka Bengaluru’s, infamous traffic jams, could have predicted: cities can and do become victims of their own success. The “policy schizophrenia” – “want[ing] bigger cities” while “worry[ing] about big cities” – is the animating theme of an important new volume on Urbanisation in India. Its editors include Isher Judge Ahluwalia of the Indian Council for Research on International Economic Relations (ICRIER), and lead author of the key 2008 High Powered Expert Committee on Urban Infrastructure and Services report; Ravi Kanbur, formerly of the World Bank and now Professor at Cornell University. Not least, PK Mohanty, who oversaw the ascendance of Hyderabad as a global IT boomtown as Chief Secretary to the Government of Andhra Pradesh and also served as Mission Director, Jawaharlal Nehru National Urban Renewal Mission (JNNURM), brings in an invaluable policymaking perspective. 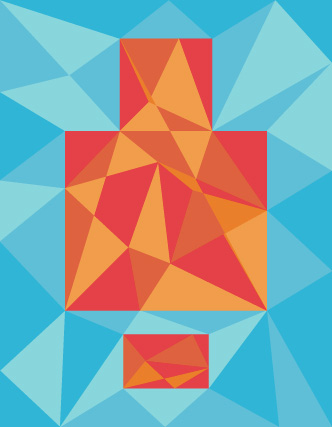 Together, these editors have assembled a collection that remains engaged with the most pressing challenges of policy practice while staying informed by the analytically rich literature on urban economics. As the editors argue in the introductory chapter, “externalities” – the economic benefits (and costs) that may accrue to bystanders as other economic agents make their decisions – are both the driver and the downfall of the agglomeration economies that constitute urban growth. Indeed, cities are marvels, not of engineering but of organised chaos, bigger than the sum of all of their moving parts. The urban whole that emerges from millions and billions of individual self-interested choices is in effect built on a scaffolding of unintended consequences. It is in this sense that cities are ecosystems, more than economies; and this is the reason why no city resident can remain, in the words of the poet John Donne, “an island.” This collective magic is what sustains the vibrancy of the Mumbai local and the entrepreneurial energy of the Bangalore start-up space. Yet, if the workings of the city call to mind Adam Smith’s invisible hand, not all of its causes and effects can be said to be entirely benign. Take for example, the roughly 1400 cars added daily to Delhi’s roads in 2014; half of these ran on diesel. While this explosion of personal mobility facilitates freedom of movement and helps knit together the far-fl ung corners of the national capital region (NCR), from Gurgaon to Ghaziabad and beyond, it also contributes to persistent congestion on the city’s roads. More important, it adversely affects air quality, augmenting the city’s reputation as the most polluted in the world. Maximise the first, minimise the second – this might be the solution indicated for the city manager. Ahluwalia, Kanbur and Mohanty, however, suggest the matter may be considerably more complicated. More than a technocratic optimisation exercise, managing cities needs persuasion and incentive alignment: “narrowing the gap between private and social calculus in urbanisation” (p 6). In the ten succeeding chapters, on topics as diverse as “Sustainable Urban Living” (Ahluwalia and Mathur) to “The Practice of PPP in Urban Infrastructure” (Sahasranaman and Kapur) to “Integrating Redevelopment of Slums in City Planning” (Patel and Phatak), a galaxy of experts speak to the tensions and trade-offs that define the realisation of collective goals in the city. Some like Mohanty in his chapter on “A Municipal Financing Framework” broaden the canvas to highlight the role of cities in the regional and even in the national economy, arguing that cities must “mobilise resources for themselves and for rural areas” (p 119). This is the model of “city as growth engine”, a policy paradigm that has been central to the patterns of urban development in post-Independence India. Mohanty goes on to lay out a comprehensive fiscal toolkit for urban local bodies (ULBs), framing a concern central to the volume: how to raise the funds required for realising the city’s collective goals. In fact, issues of financing are at the heart of four central chapters, including Mohanty’s and Sahasranaman’s and Kapur’s. Govinda Rao and Richard Bird, two leading experts on urban fi nance, position their analysis in the theory and practice of fi scal federalism; in contrast, Seddon focuses on ULB’s readiness to use “private fi nance for public ends” (p 148). 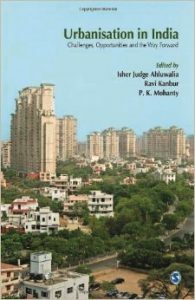 Later chapters such as Deepak Parekh’s survey of affordable housing in India also return to the fi nance question, advocating instruments such as “real estate improvement trusts” and “micro- mortgages.” This preoccupation represents to some extent a response to the nature and size of the challenge suggested by Ahluwalia’s HPEC report and highlighted in the second chapter. Starting with reasonable standards for basic services from water supply to traffic infrastructures, the report estimated investment requirements to the tune of R34.2 lakh crores over 2012-31 at 2009-10 prices. Raising funds at this scale presents tremendous obstacles, more so for India’s ULBs, which typically remain hobbled by profound fiscal and institutional capacity constraints. The policy conclusion appears to point to increasing private participation in city building but even here, the path is far from straightforward. The essential lesson of public economics is that private provision of the public goods and urban infrastructures is subject to inevitable inefficiencies. Drawing from international best practice and Indian case studies, the authors in this volume offer a valiant range of options and some solutions for reconciling these private and public interests in city making. Banking on land and unlocking its value, and unleashing the power of land markets is necessary, they recommend, but so is a note of caution about the ability of tools such as Transferable Development Rights (TDRs), to meet the demands of “slumfree” cities (Patel and Phatak, p 285). Mohanty and Ahluwalia advocate fiscal instruments such as “impact fee” to raise infrastructure funds from new real estate development. Mohanty’s experience in Hyderabad yields a variety of fi scal tools and planning approaches that have been tested successfully in Indian conditions. A growing divergence characterises urban policy and management in India – on the one hand are the worlds of policy precept and practice that are increasingly populated not just by bureaucrats and urban planners but also by management professionals and technical consultants hired by the state and local governments to provide much-needed expertise. On the other hand are the empirically grounded evidentiary bases that trace how policy interventions ripple through and reshape the fabric of Indian cities. The most important achievement of this volume lies in introducing some of the insights gathered from the larger analytical and empirical standpoint of social science to policy practitioners who may possess only glancing familiarity with these perspectives. As such, it provides a partial bridge to the rigorous benchmark of evidence-based policy-making that is progressively being adopted by multilateral and national agencies in other spheres – from education to health. Invaluable as this volume will be to urban practitioners, it is a manual primarily for setting up and operating what one might call the hardware of the city. Yet the paradigm of city as growth engine, enduring as it is, presents only a partial view. More than their infrastructures or monuments or even their institutional mechanisms, cities are made of the intangibles made possible, as the famous American urbanist Jane Jacobs argued, by diverse groups of groups living in close proximity. The city manager’s dictum must thus offer something of a Zen koan: plan for the unplanned, intend the unintended. Remember always that more than a machine, the city is a social organism.